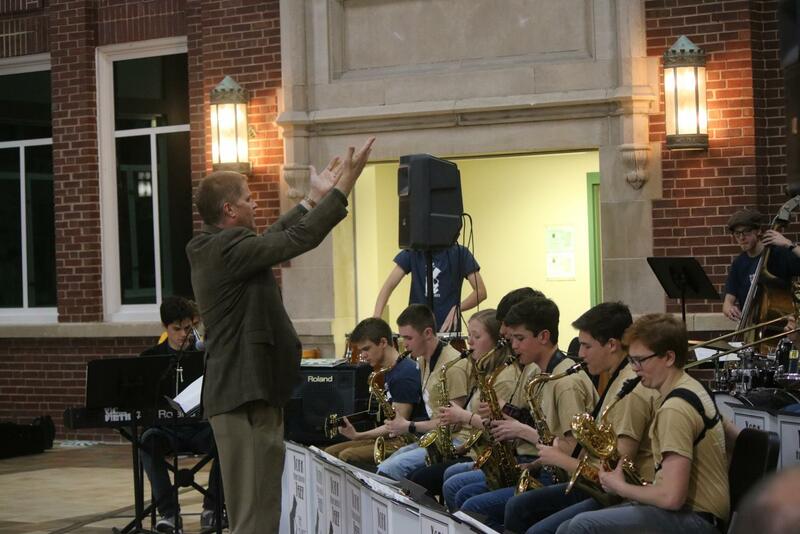 Mr. Riddle, conducting jazz ensemble, conducts the band to bring their noise up and louder. 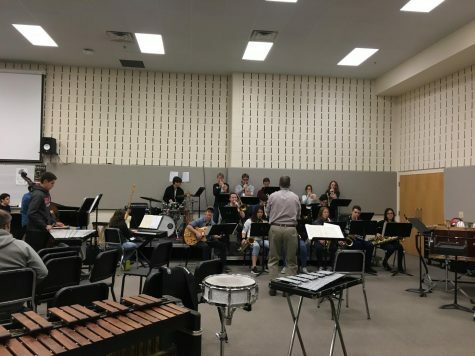 When taking a look inside our very own award-winning performing arts department, you’ll find Mr. Bill Riddle, chair of the department and also the co-director for the York bands. Since Mr. Riddle arrived at York, he has helped turn the performing arts programs into something special. “Trying to develop a culture and community within our performing arts department [has always been the goal],” Mr. Riddle said. Mr. Riddle strives to provide a fulfilling and enjoyable program for students. 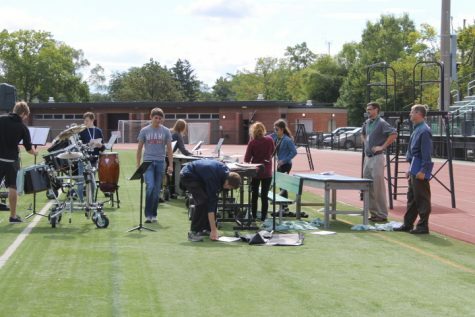 “We want kids to get the best experience within the arts program,” Mr. Riddle said. The entire focus is centered around the students and what will be best for them. The path of growth is what is encouraged both inside and outside of class. Before York, Mr. Riddle spent 18 years in Westmont directing the band at a high school. “I am really thankful for my position here at York since it has been half teaching half administrating. Teaching is where the most satisfaction comes from,” Mr. Riddle said. 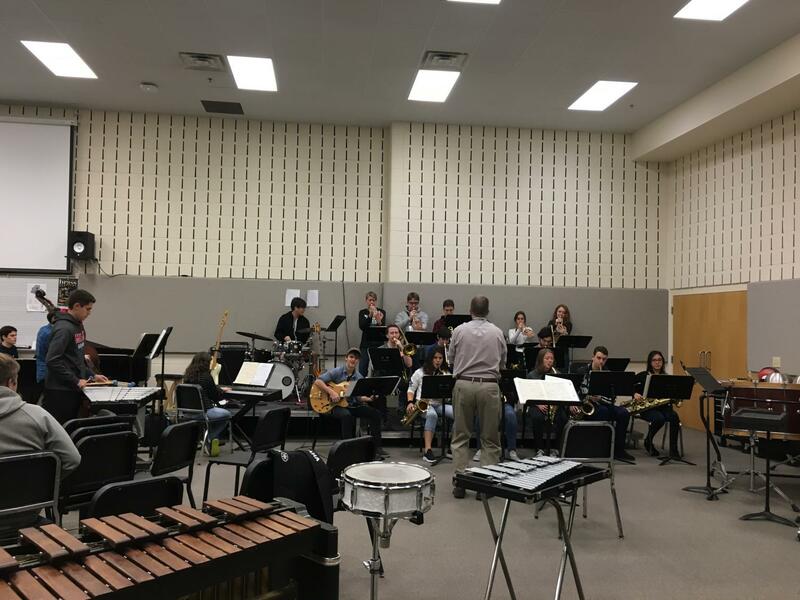 While teaching in Westmont, Mr. Pavlik, one of the other band teachers at York, student taught under the wing of Mr. Riddle. Ever since then the two of them have been really close. Two years before Mr. Riddle joined the Dukes, Mr. Pavlik came. After college, Mr. Riddle did freelance for seven years while continuing to write and play music. His undergraduate was a music education degree, but he thought he’d find success as a professional. After jumping between a few teacher positions, he found his passion as a band director at a Westmont high school. Mr. Riddle’s biggest inspiration is his high school band director. “He was a model for me what a band director and teacher does,” Mr. Riddle said. 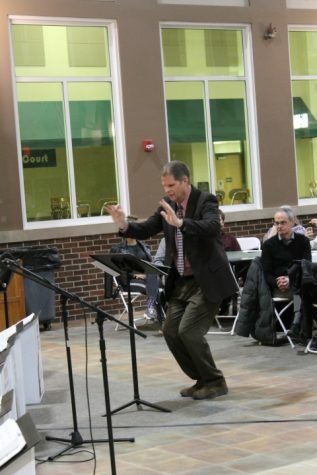 With the help of all the staff within the performing arts department, the music department staff have all come together to inspire students every day, especially Mr. Riddle. Mr. Riddle conducting the jazz ensemble at rehearsal before school. Nov. 29, 2018. 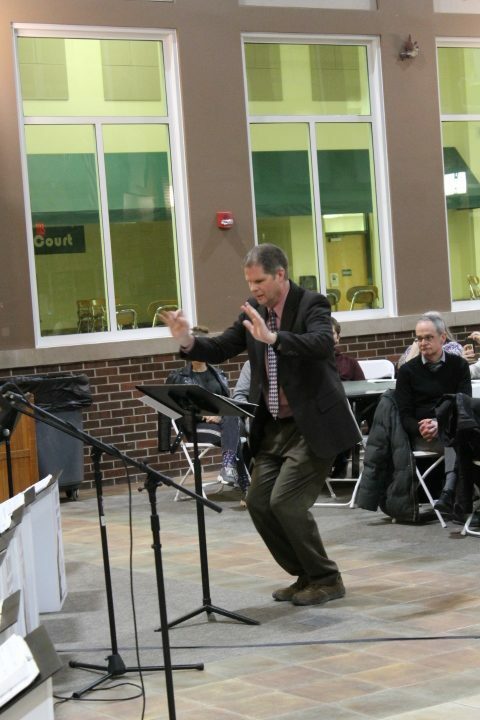 Mr. Riddle, Jazz Ensemble director, is always very passionate about the music he is conducting. This is seen here when he was conducting “The Blues Machine,” a blues style song. Mr. Pavlik and Mr. Riddle watch every rehearsal from the press box to get the best view. They are able to make critiques for the band to help them prep for the upcoming game. They usually help the pit set up all the instruments to speed up getting ready to rehearse.